Why is it that human beings so often seem to revere the symbolic embodiment of the animal to the thing itself? As Alice Walker once wrote, “Animals are forced to become for us merely images of what they once so beautifully expressed.” We can wipe out the grizzly bears in the wilds of California, while proudly displaying them on the state flag. In India, Ganesh, the elephant god ( “destroyer of obstacles”) is revered, yet the living embodiments of this divinity are treated like lowly slaves. Sunder, a captive temple elephant in India suffers incredible abuse at the hands of his captors, while his ostensible function as a holy mascot is to bestow “blessings” on human visitors. When he traveled to India in 2012 Paul McCartney, whose animal activism is truly an inspiration, fought to secure Sunder’s transfer to a sanctuary. However, the 14-year-old elephant is still chained, regularly beaten and forced to live in a chicken shed. 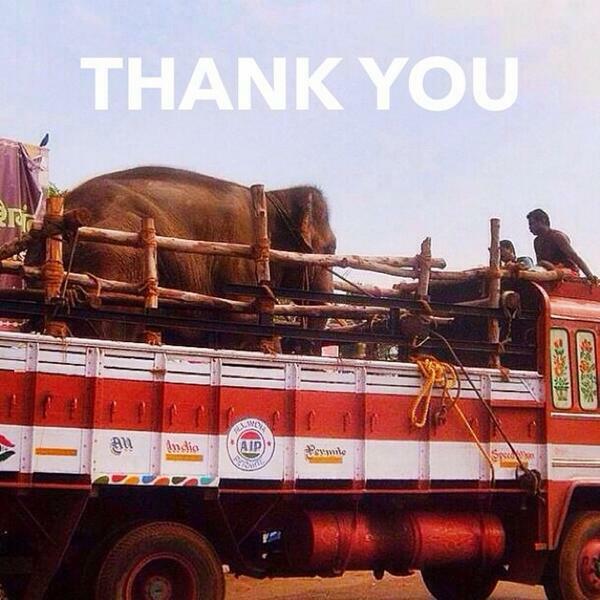 Today is the day that activists around the world are rallying to get Sunder to a sanctuary. Please help! 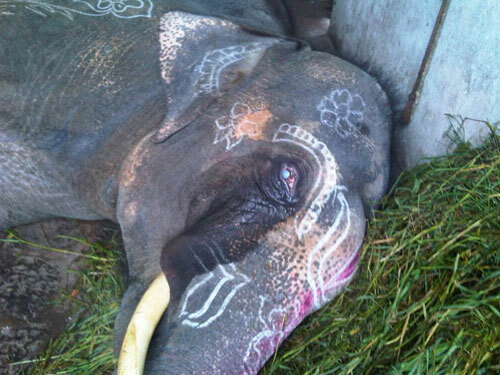 It only takes a few seconds to tweet, copy and paste a letter to the Indian consulate or sign a petition to free Sunder.